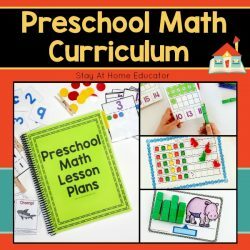 If you’ve landed on this page, it is likely because you are interested in learning how to write preschool lesson plans and doing so an entire year in advance. You’ve come to the right place. This is the first of five follow-up posts about how to write preschool lesson plans for an entire year. You can read my original post here. Be sure to read through each post so you can grab all the FREE printable templates I used when I went to write my preschool lesson plans. Now, let me be very, very clear. These lesson plans do not reflect detailed and scripted daily plans that specify what is to be taught each minute of your teaching time. Instead, these lesson plans reflect an outline of skills and concepts you hope to teach throughout the school year and the sequential order you should teach them. In educational terms, they are known as a scope and sequence. You can grab a copy of my scope and sequence in Step 3! Regardless of whether or not you are a someone who needs specific detailed guidelines or just a template and set o instructions, a scope and sequence will keep you on track. 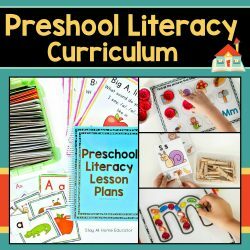 If you are looking for preschool lesson plans done for you, then you might be interested in these. Creating a calendar for the year is the first step to writing preschool lesson plans an entire year in advance. This will help you identify important dates that may impact your preschool activities for any given day. You can grab my super handy FREE printable calendar at the end of this post! FREE printable calendar at the end of this post! set of colored pens (I like the new Sharpie pens best). Think about the upcoming year and start by recording on your calendar all the important dates that will impact your teaching. other interruptions to teaching (maternity leave, surgeries, vacations, etc). Let me elaborate on these with some questions you’ll want to ask yourself. When will school begin and end? When will you break for holidays? I plan my school year based on our local public school district. I do this for one primary reason. It makes dates easier to remember for my preschool parents and for myself. I maintain the same attendance schedule as the school district, however I do not take time off for teacher development and in-service days. I plan holiday breaks to be the same as the school district as well. So right now, choose a single color and write down what day of the year school will start and end, as well as any holiday breaks. Will you celebrate holidays with parties and when will those be? I also decide at this time when to have our holiday parties. By party, I actually mean a holiday-themed preschool day of learning. We don’t really party, but the day is special because literally everything we do that day is centered around the specified holiday. I schedule our holiday parties for the closest preschool day to that holiday, being on the holiday or we celebrate the preschool day before. I write down holiday parties in a different color, perhaps orange. Will you celebrate student birthdays and when will those be? Once I have students who are registered for the year, I also record student birthdays on my calendar, in a the same color as holiday parties. While I do not offer class parties for birthdays, I certainly want to acknowledge such a special day for my preschoolers. (The birthday student gets to wear a special crown and I make a special snack that day). We celebrate student birthdays the day of or the closest preschool day before the actual birthday. What interruptions may occur during the school year? The final thing to consider is if there will be any interruptions to teaching during the school year. Since I own and run my own preschool, I can decide on these interruptions and schedule them in advance as part of my program schedule. For example, Baby Boy is due this September, about a month after school has started, so I have scheduled (and already clarified with parents) to take two weeks off of teaching to establish a routine with having four kiddies. Recording this on my calendar is just an estimate, but it shouldn’t affect my overall lesson plans too much. Other interruptions to consider may include short breaks for medical procedures, or maybe vacations, family reunions, or business trips. 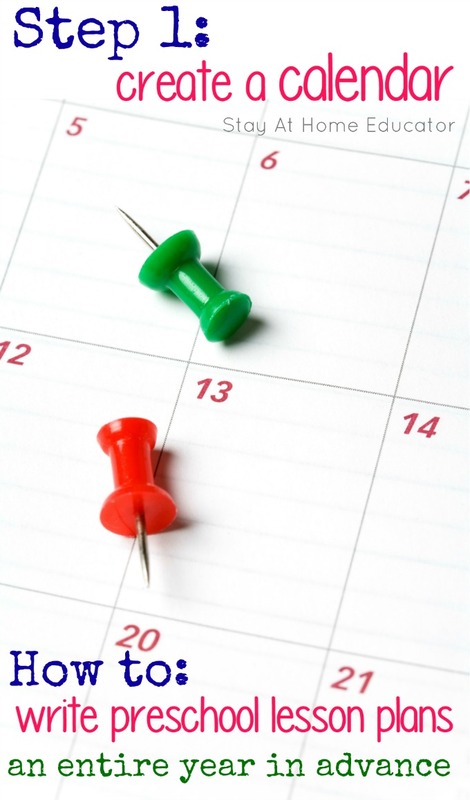 Whatever the case may be, record it on the calendar so that you can plan your lessons accordingly. Write down these interruptions in a third color, maybe purple. And if you own your own preschool, I recommend penciling in the interruptions the month before so you don’t forget to send a letter home informing parents of the interruption. Do you plan on field trips? Once you get into the actual school year, you can also add field trips to your calendar as well. Do this in yet another color. I like to plan field trips for the same day each month, the last Tuesday, whenever possible. Sometimes it is not possible to schedule field trips for the entire year. Some businesses and organizations only allow for preschool field trips on specific days, which may not align with the day you have reserved on your calendar. Others are really flexible. Regardless, field trips are the last thing I formally plan. But even if I can’t solidify something before the school year starts, I will at the very least pencil in my ideas. Now that you have a calendar full of important dates to remember throughout the year, you can begin planning your actual lesson plans, or as I stated in the introduction, your scope and sequence of skills and concept for the year. Read the next step in yearly preschool lesson planning here. 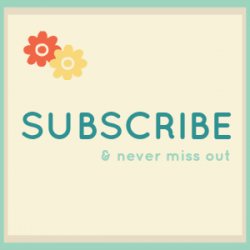 Want a FREE lesson planning calendar? This calendar is the exact one I use to plan out my year. It has some extras I haven’t talked about in this post, but you’ll see the full picture in Steps 3 and 4. And…this calendar is fully editable, meaning that you can type right into the cells on your computer. No need to print it out if you don’t want to! Want to Just Skip the Lesson Planning All Together? 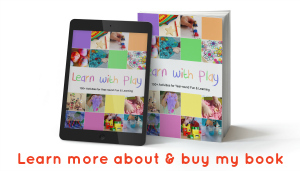 If you are looking for preschool lesson plans done for you, then you might be interested in these. 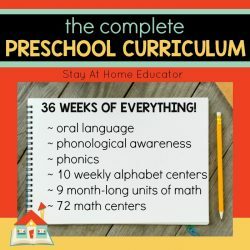 Due to reader interest, I wrote up an entire, non-thematic preschool curriculum! 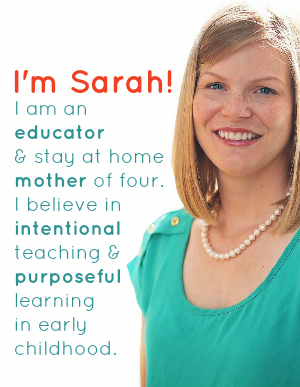 Just print, cut out the preschool centers, and teach!